The Dickies Drop Ship 6 oz. 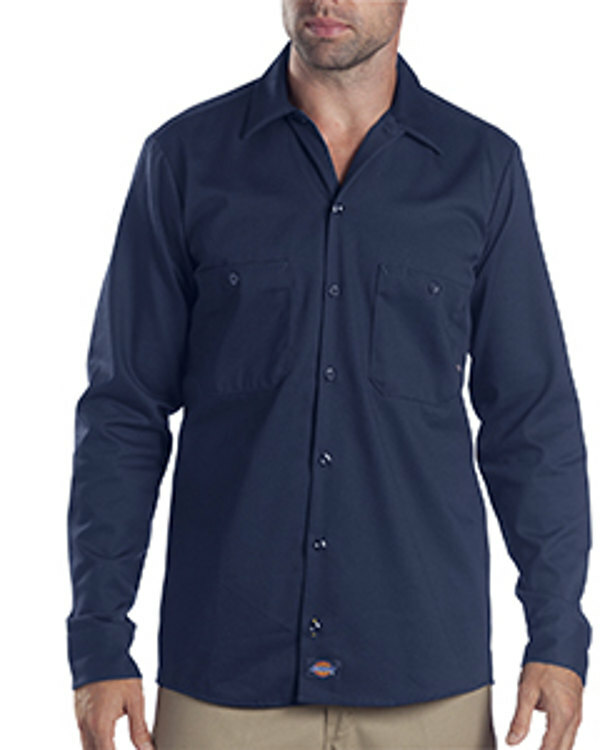 Industrial Long-Sleeve Cotton Work Shirt is available in Sizes: S-5XL and can be purchased from following colors: Black and Navy. SKU: AB-LL307 Categories: Activewear, Woven Shirts, Woven Shirts, Men's Clothing, Shop by Color, Black, Navy Tags: men's clothing, woven shirts Brands: Dickies. Due to high order volume, Drop Ship order processing by Dickies could require up to 5 days to ship. sweatshirtstation is not responsible for delivery delays coming from drop ship warehouses. This Industrial Long-Sleeve Cotton Work Shirt is fully cotton twill and is perfect for active men. Our Dicikies Long-Sleeve Cotton Work Shirt is also fade-resistant which will keeps you looking professional for all day long.